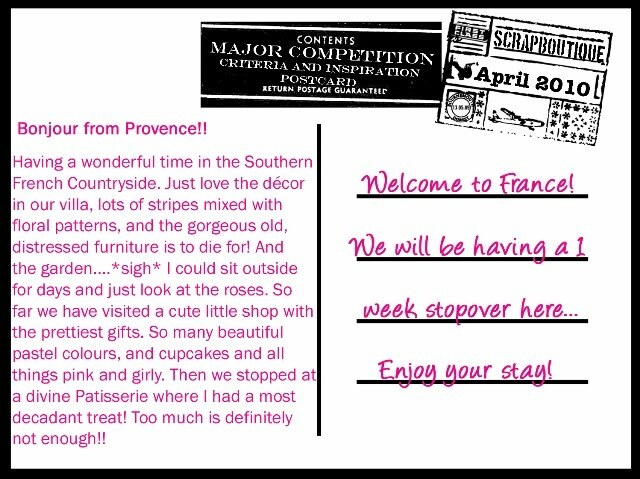 In the south of France is our next destination for the Scrapboutique postcards of the world competition...and this is our postcard - isn't it just devine?!?!? 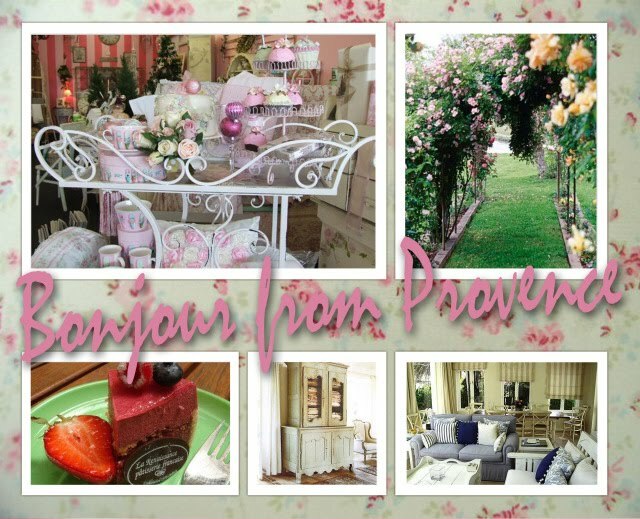 There is so much inspiration in this postcard, that it has my head in a spin....LOL....I think I have too many ideas going on in my head! I've pulled out all the bits in my stash that I think will suit, but there's no way I can fit it all on one page - so I'm sure I'll be swapping & changing my mind over and over on which "bits" to use. I have something pieced together at the moment, but I think I need to sleep on it & have a fresh approach on it tomorrow....so, stay tuned - hopefully I will have my LO finished soon.........ish! This one I did for the CC colour challenge over at Bons - to use kraft, blue, green & a touch of yellow - a large photo & the words "Sprinkled with lots of love", which I used for my title. This one is for the sketch challenge for the CC at Bons - plus some extra criteria to use something round, spottie & a transparency. 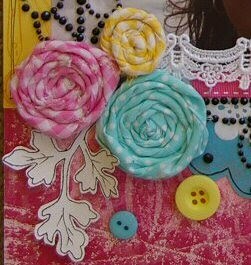 Another using the April girl kit - again with a few bits added from my stash. And this one using the April boy kit from Bons. 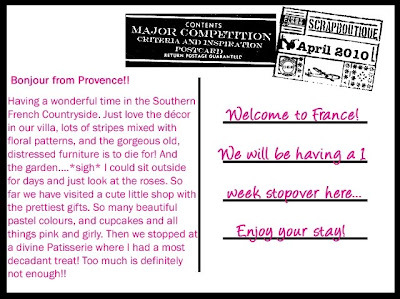 I'm loving Scrapboutique's competition - must get started on this layout! !